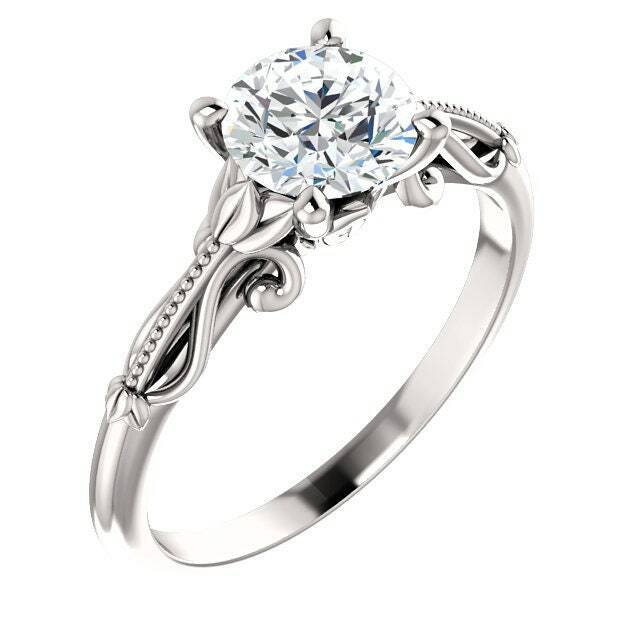 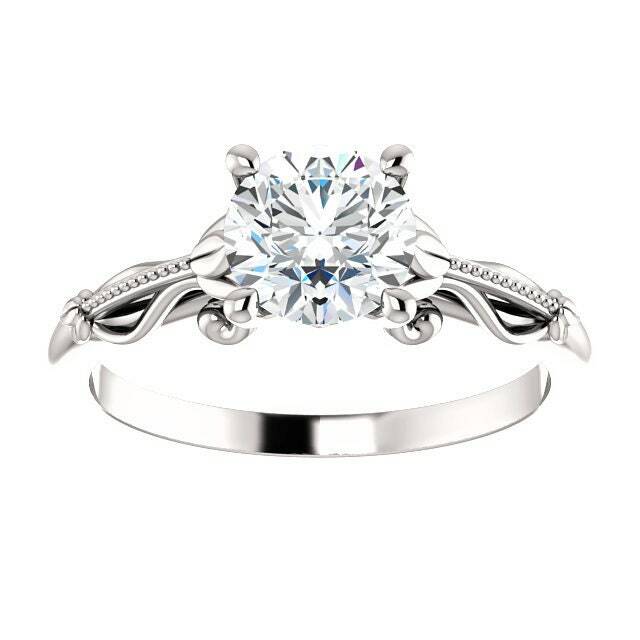 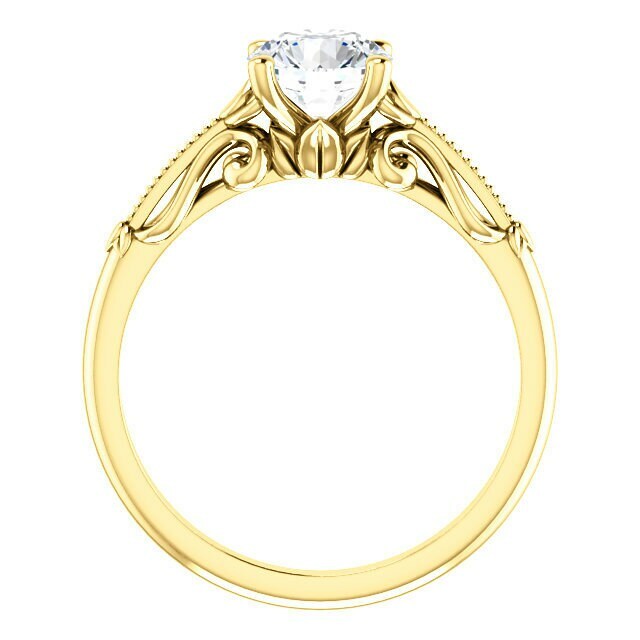 This is a very beautiful solitaire diamond engagement ring setting. This ring is set to fit a Round Diamond measuring approximately 6.5 mm in diameter (1 carat diamond), however, it can be changed to accommodate any shape or size stone. This ring is available in 14 KT White Gold, 14KT Yellow gold and 14KT Rose Gold. 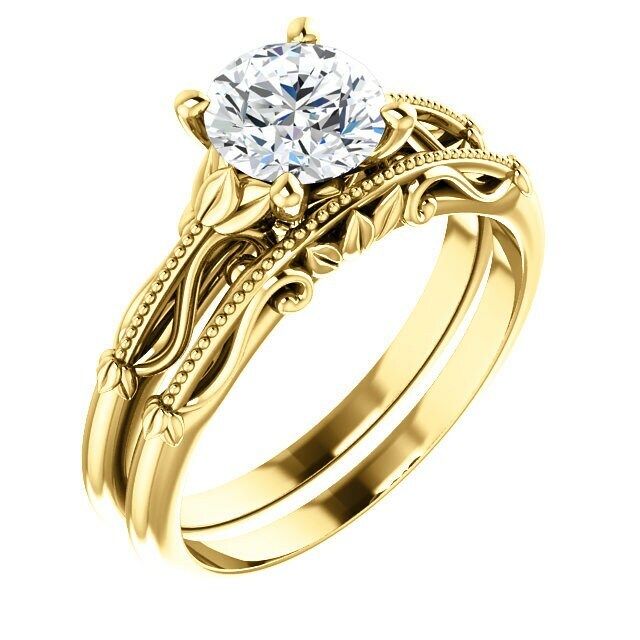 This ring weighs 2.9 grams and is available to be made in your finger size. I will ship this ring promptly in a gift box. 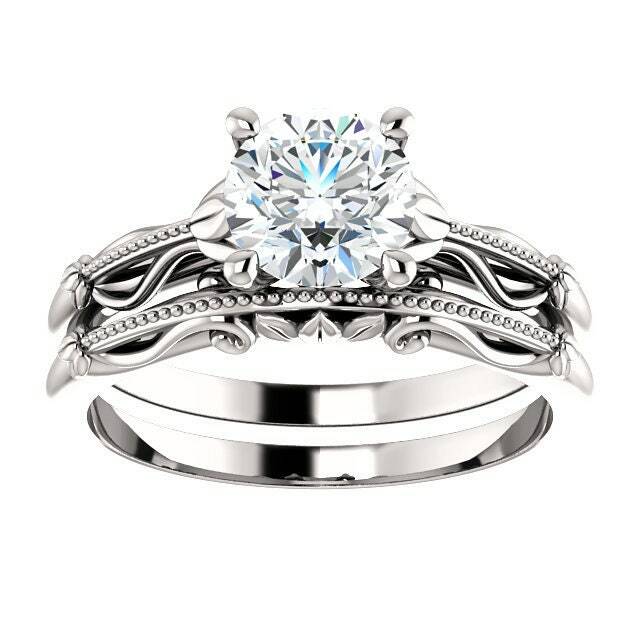 The matching wedding ring is also available for this ring upon request, the price of the matching band is $325.